Spanish regional cable operator Euskaltel has become the first operator in the country to integrate the Amazon Prime Video service into its set-tops. The Amazon service will be available to Euskaltel subscribers equipped with Android TV boxes. The move will make Amazon Prime originals such as Six Dreams, The Grand Tour, The Marvelous Mrs Maisel, Tom Clancy´s Jack Ryam, Homecoming, The Man in the High Castle, and Prime exclusives like Pequeñas Coincidencias, available to Euskaltel subscribers. Those who take up the service will also benefit from the Amazon Prime delivery service and he Prime Music streaming service. The Prime Video app also provides off-line content, as customers can download titles on their iPhones, iPads, tablets and Android devices. Euskaltel’s rollout of Android 4K boxes, which began in 2017, has also seen the integration of Netflix with its offering, Since December, Euskaltel’s Netflix subscribers have been able to pay for the service via their monthly Euskaltel subscriptions. Euskaltel said that over 80% of its customers equipped with Android boxes viewed streaming content, twice as many as did so who were equipped with more traditional devices. Euskaltel estimates that half its customer base will be equipped with an Android TV box by the end of this year, up from 80,000 currently. 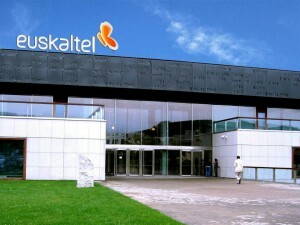 Separately, Euskaltel is the subject of renewed speculation over a possible bid by Orange. Specialist news outlet TMT Finance reported yesterday that the group had hired Credit Suisse to advise it as it moved to acquire the cable operator, citing unnamed sources. French financial daily Les Echos also reported that Orange had hired Credit Suisse to assist with its pursuit of Euskaltel as it seeks to extend its reach in the country. Orange currently lacks a fibre footprint in Euskaltel’s northern Spanish core market, while Euskaltel has been leaning on Orange to enable it to expand its services into other regional markets in Spain, including Navarre and Catalonia. Euskaltel shareholder Zegona Communications this week raised fresh capital to enable it to acquire more Euskaltel shares on the open market, having earlier withdrawn a tender offer to increase its stake from 15% to 29.5%.